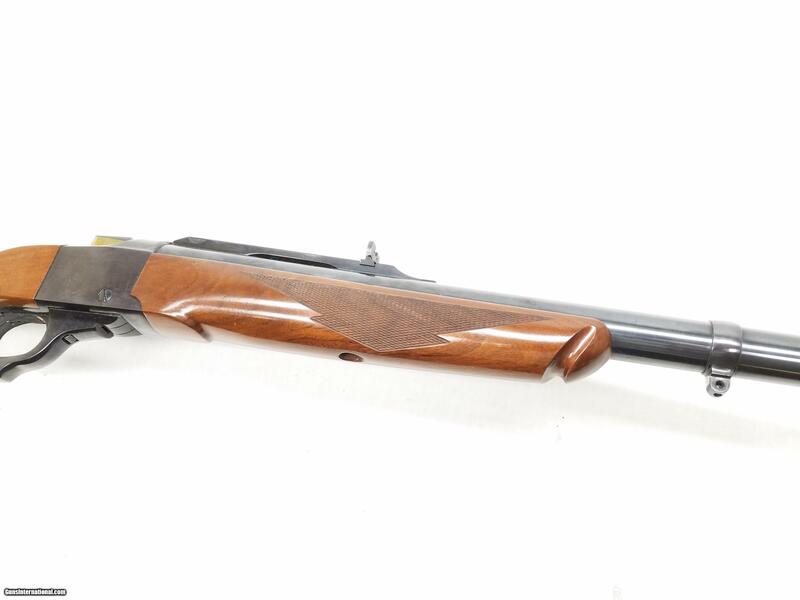 This is a 1978 Ruger No.1 chambered for .458 Winchester Magnum. 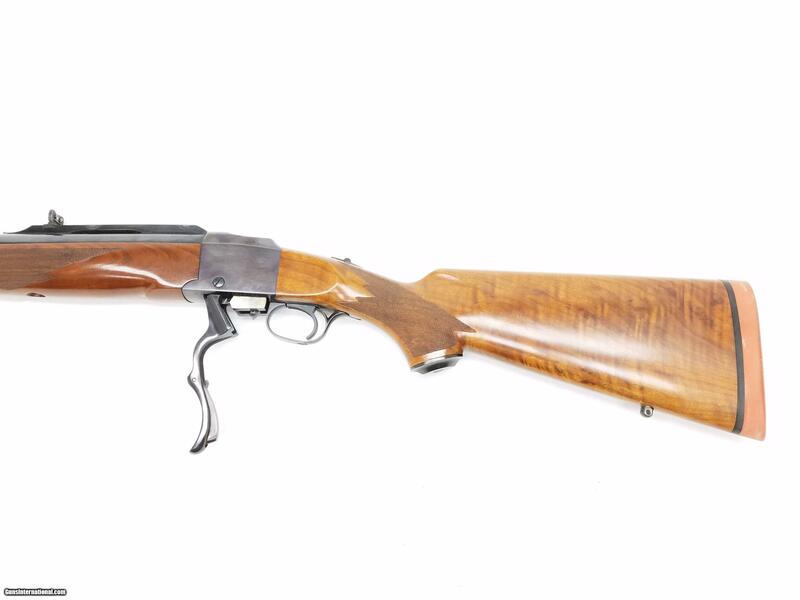 This rifle has a 23-¼” blued barrel. The finish and the bore are in great condition. 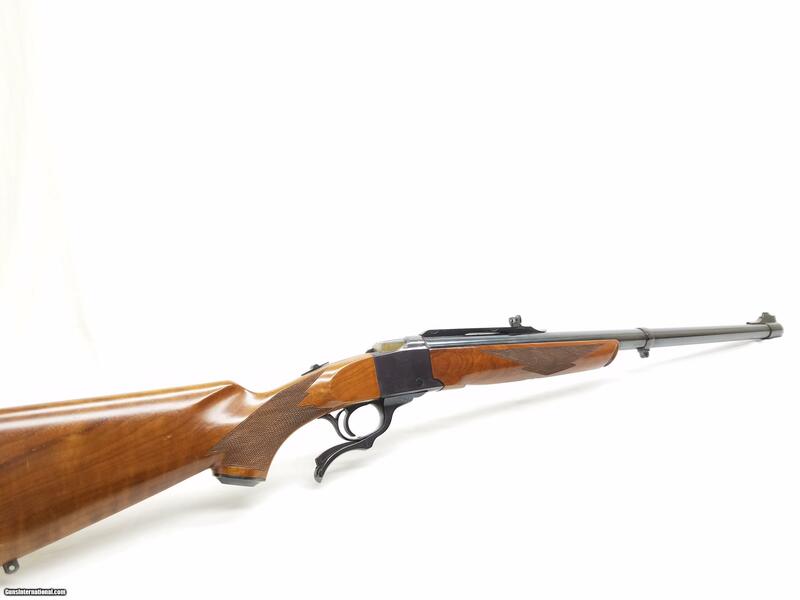 This rifle has a fixed front sight and a folding rear sight. 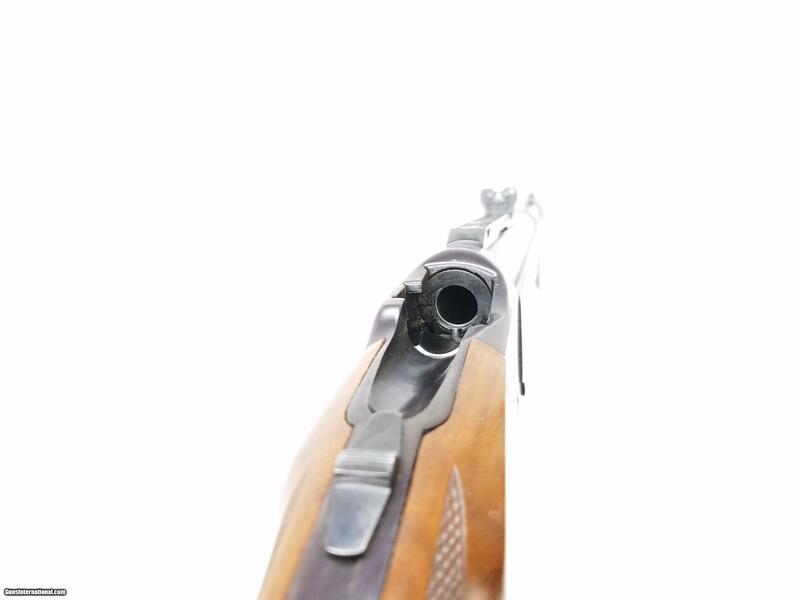 The folding rear sight is mounted in a dovetail on a scope rail. 11” from the muzzle is a sling swivel stud. The receiver is in very good condition. The finish is undamaged on the lever, block, and receiver. 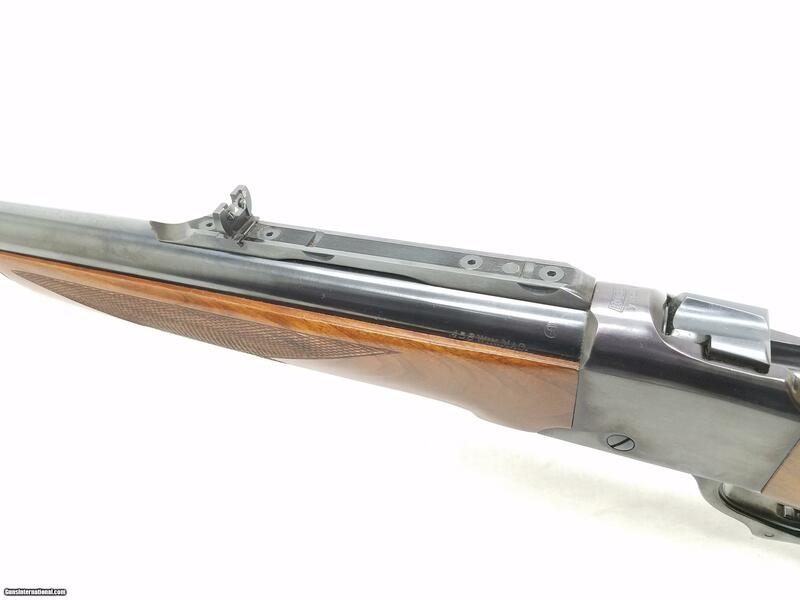 The walnut stock with pistol grip and forend are in good condition as well. There is checkering on the wrist and forend. 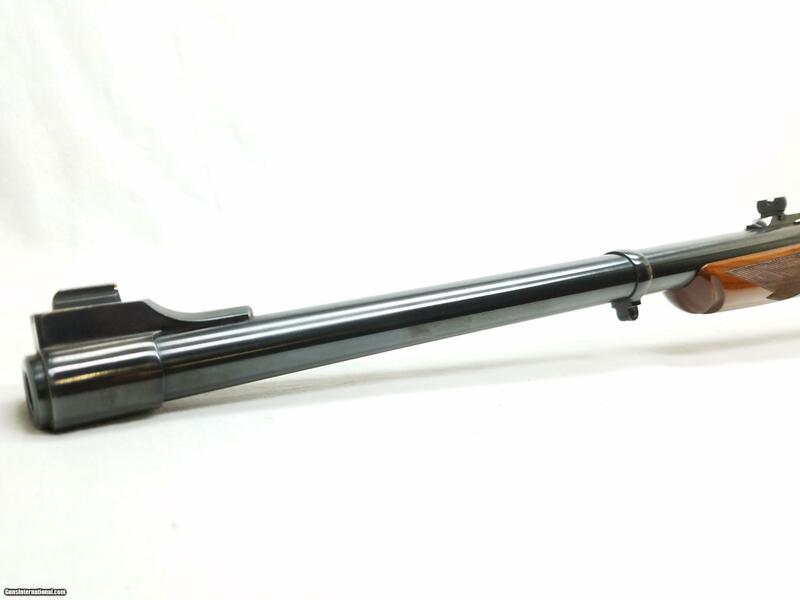 The forend has no dings or scratches. The buttstock has a couple small dents on the right side but is otherwise undamaged. The buttstock has a sling swivel stud and a 1” rubber recoil pad. Length of pull is 14”, overall length is 41”, and weight is 9.4 lbs. Our stock number is #A272. Willing to ship anywhere in the US to your FFL, buyer pays freight and insurance.